Friends I am Sharing Much awaiting GK power Capsule for NIACL(Ao) Exam 2015. 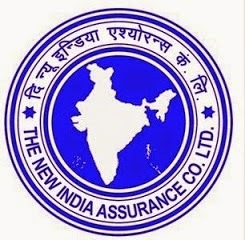 The New India Assurance Company Ltd. Call Letter is out and now you all are preparing for exam . Just Download our GK Power capsule it will surely help you to got succeed in upcoming NIACL 2015 exam. The NIACL (AO) 2015 exam will be scheduled on 10th, 11th January 2015.